With over 25,000 members strong, SCBWI, the Society of Children’s Book Writers and Illustrators, is the largest professional organization of children’s book writers and illustrators. We have always cared about getting books into children’s hands because we know that books given to them can change their lives– allow them to see themselves, to feel empathy towards others, and to open their eyes to what can be. But, how about the children who don’t get our books—the children in families who can only afford only basic necessities? We have thought about what we could do for them, too. 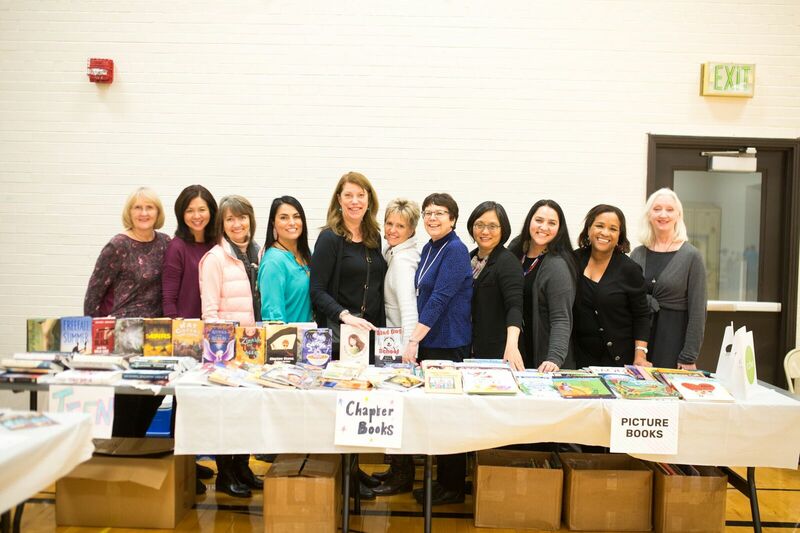 Over the years, our members have held regional book drives across the U.S. and internationally, and have donated many titles to organizations and causes. But, we wanted to do more. 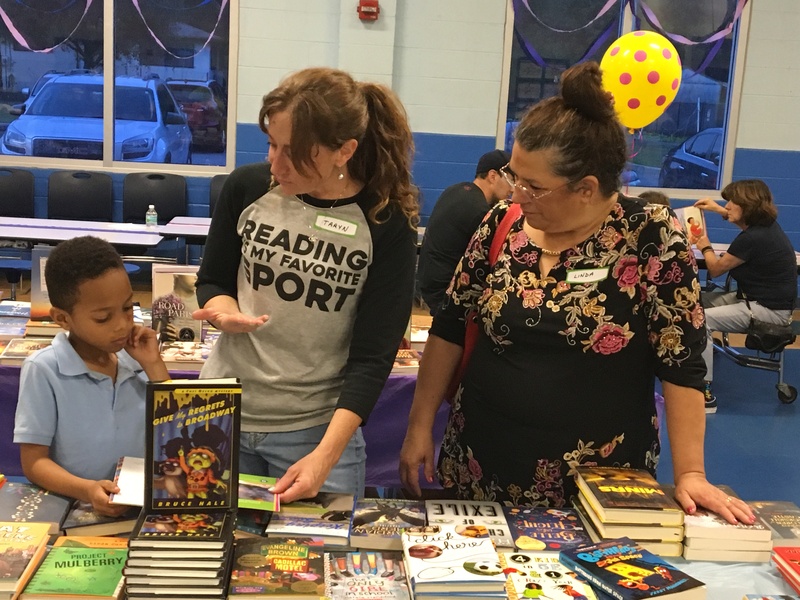 With as few as 1 book per 300 children in low-income and underserved communities in the U.S., we knew that we needed to do more. That’s why we decided to join forces in 2017 to make an even greater impact in increasing book access nationwide. The result? Our annual literacy initiative: SCBWI Books for Readers. 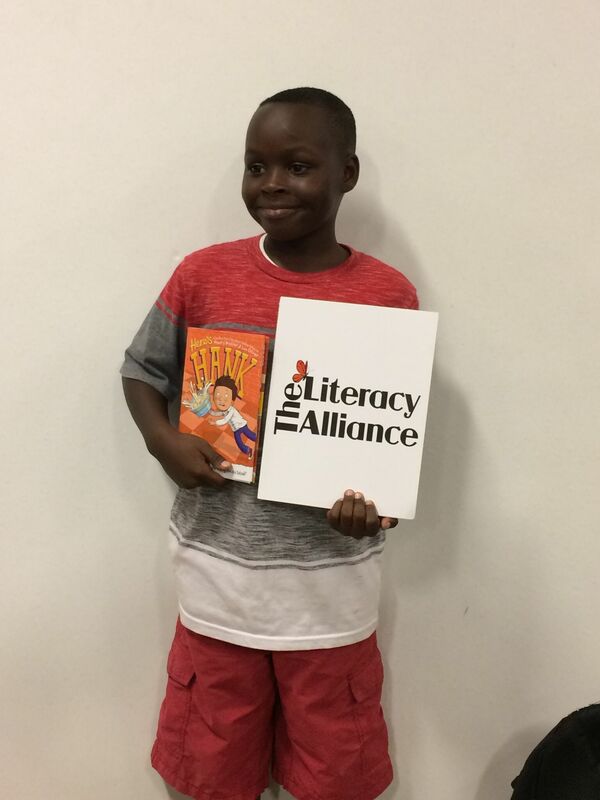 With this literacy initiative, we can advance our organization’s mission as children’s book creators and passionate literacy advocates, and help increase book access by collecting, curating, and donating our books to worthy organizations with readers in great need. We are truly delighted and excited about this. 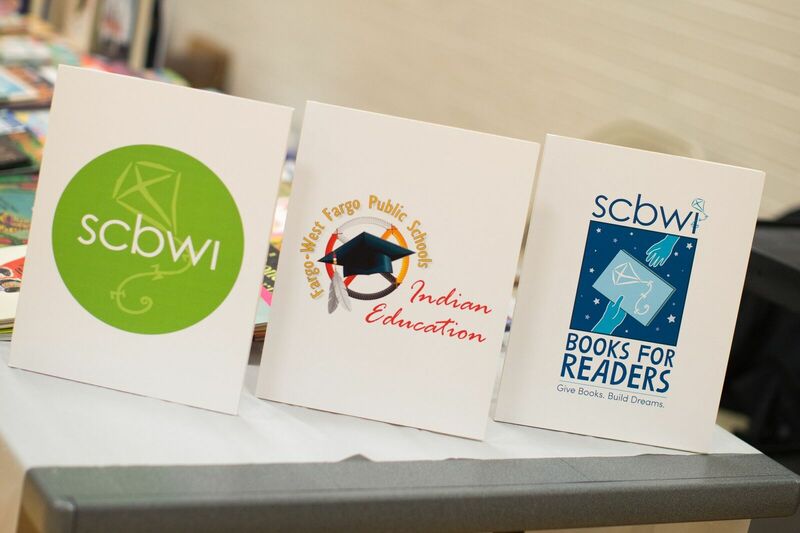 Chosen from over 300 nominations this past year by a committee of SCBWI Board of Advisors, our 2018’s recipients were Indian Education Program in Fargo, North Dakota, and The Literacy Alliance in Oviedo, Florida. 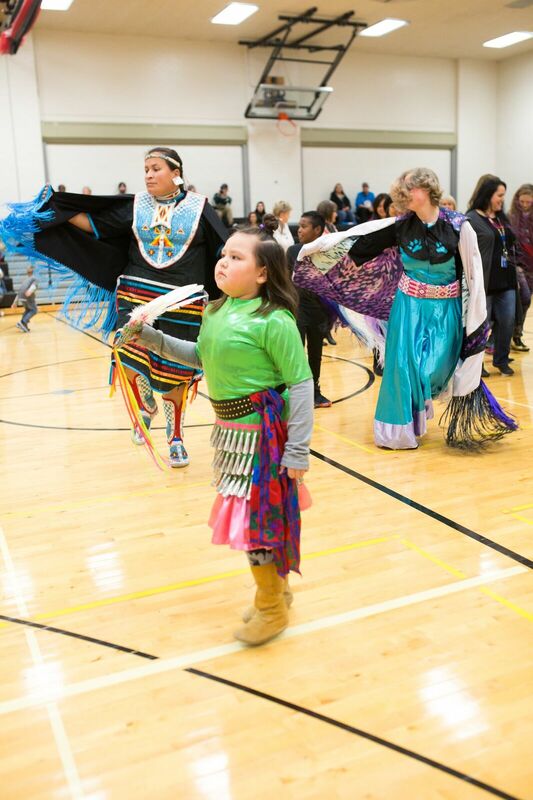 With Fargo and West Fargo Schools’ Indian Education Program, the books will help build a bridge between home and school literacy where books can be seen as luxuries. 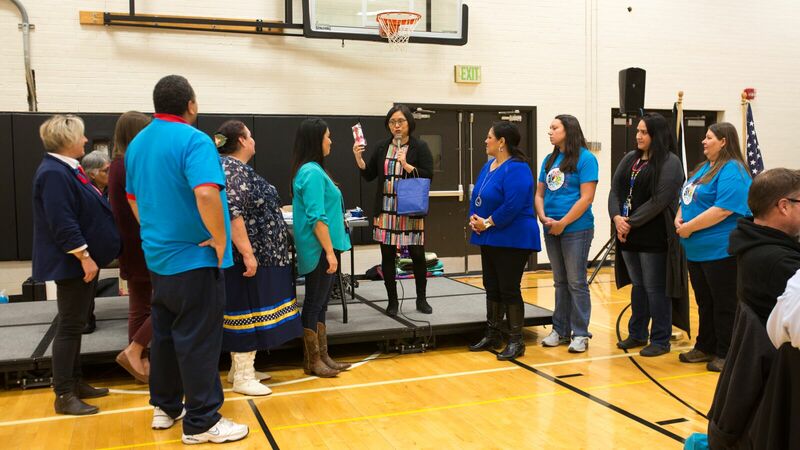 Children who attended the district’s Indigenous People’s Day received a book of their very own, and a book plate to affix and to decorate. 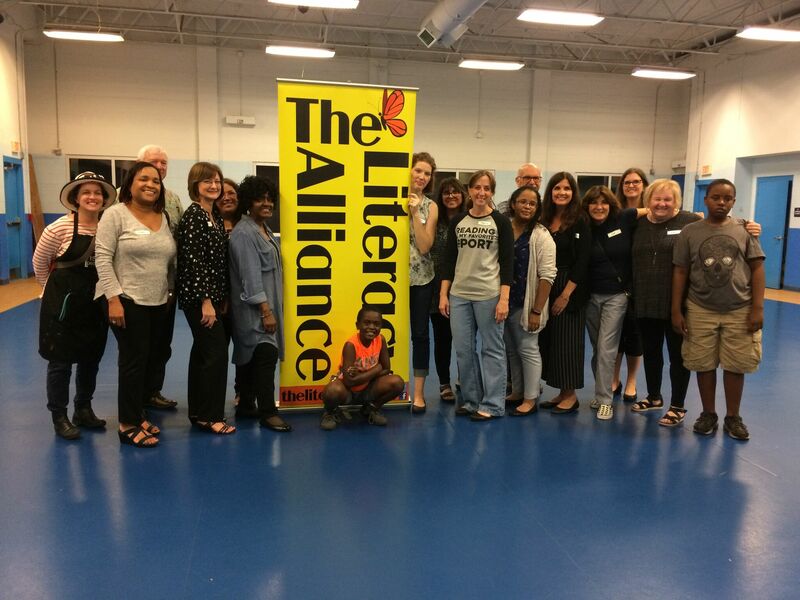 As for The Literacy Alliance, founded and run by a librarian, this “on-demand” literacy program hub serves underserved and at-risk readers in Central Florida. 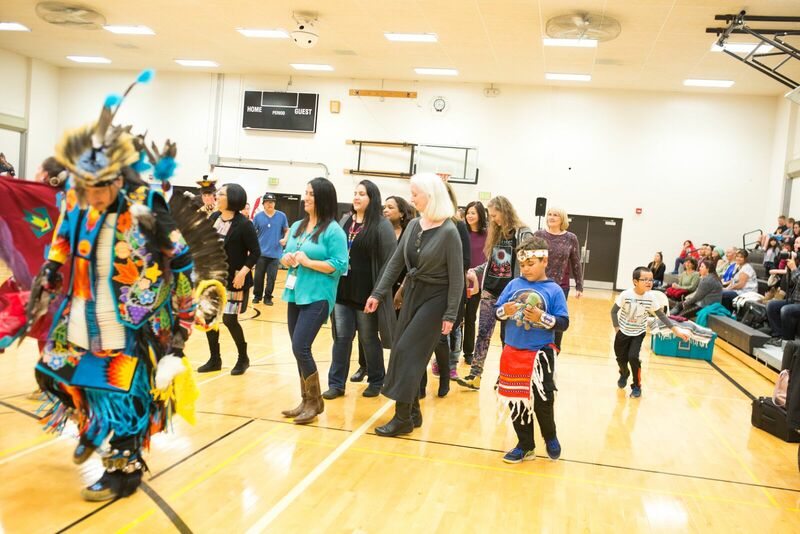 The books will help bring stories to life, and create life-long readers at area schools, hospitals, homeless shelters, juvenile detention centers, and others. 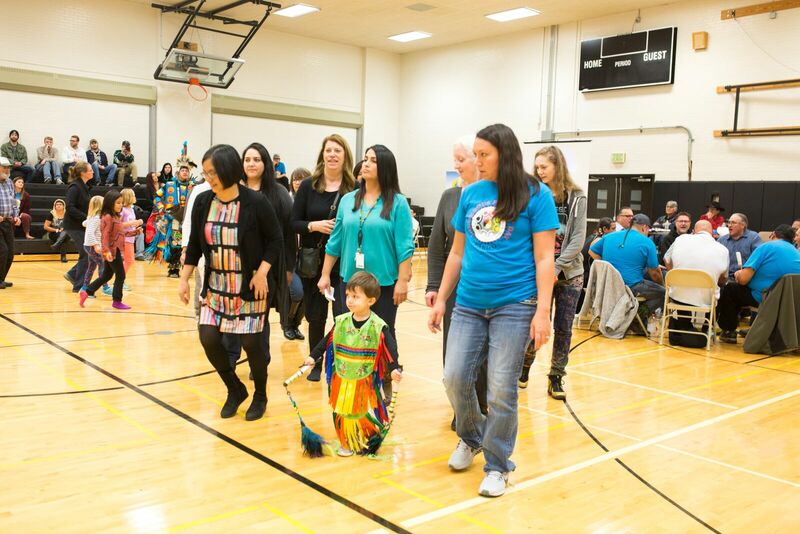 To deliver and donate these nearly 1,500 books in SCBWI style, we had two “distribution celebrations” on October 8th in Fargo, North Dakota, and November 1st, in Oviedo, FL. 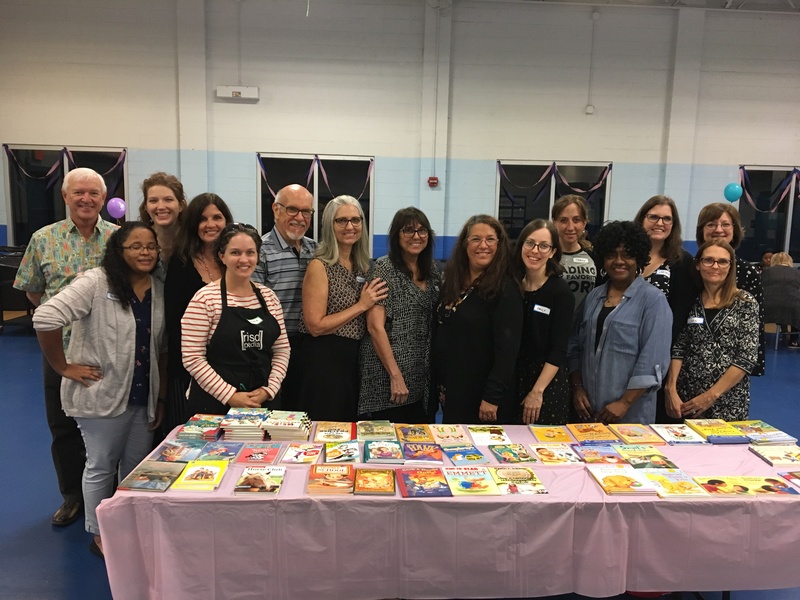 Local SCBWI authors, illustrators, and members were on hand for interactive readings and story times, art demonstrations, crafts, refreshments, and, of course, the book distributions. Each child who attended received a book of his/her very own to take home. Needless to say, we were thrilled to get these books into these children’s hands, and cannot wait to extend our reach to even more readers in need in the future. It’s why we create books. We hope that by giving books to these children, and our future recipients, we can help build their dreams. Every child deserves books and dreams! It’s our dream and privilege to be able to do this. Lin Oliver is the Executive Director of the Society of Children’s Books and Illustrators. To learn more about SCBWI Books for Readers and SCBWI, please visit our website: https://www.scbwi.org/books-for-readers-faq/. 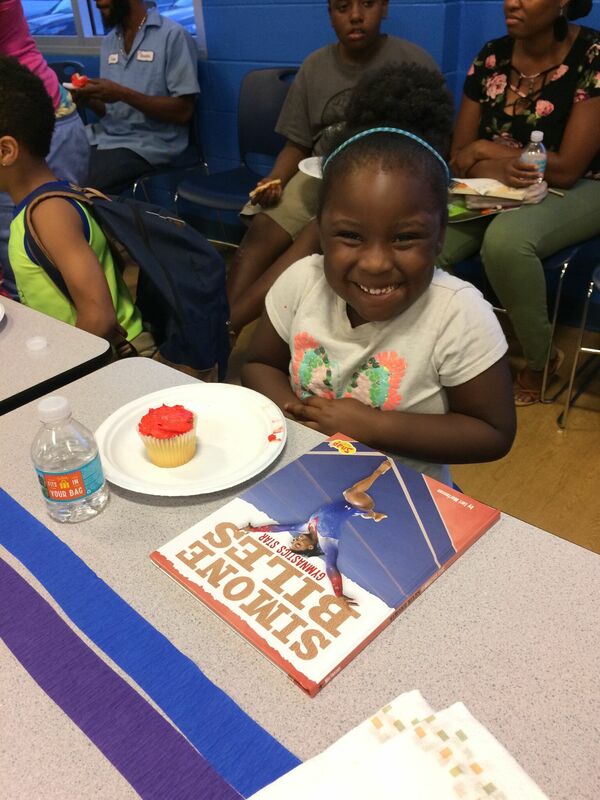 To join us in increasing book access for kids in the U.S., reach out to your local literacy organization and/or First Book at www.firstbook.org. 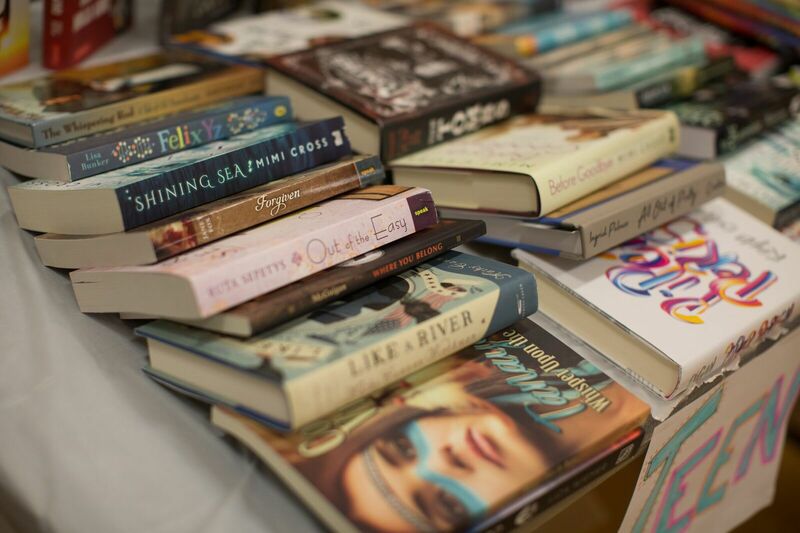 Together, we can all give books, build dreams, and increase book access to readers in need. This is awesome! 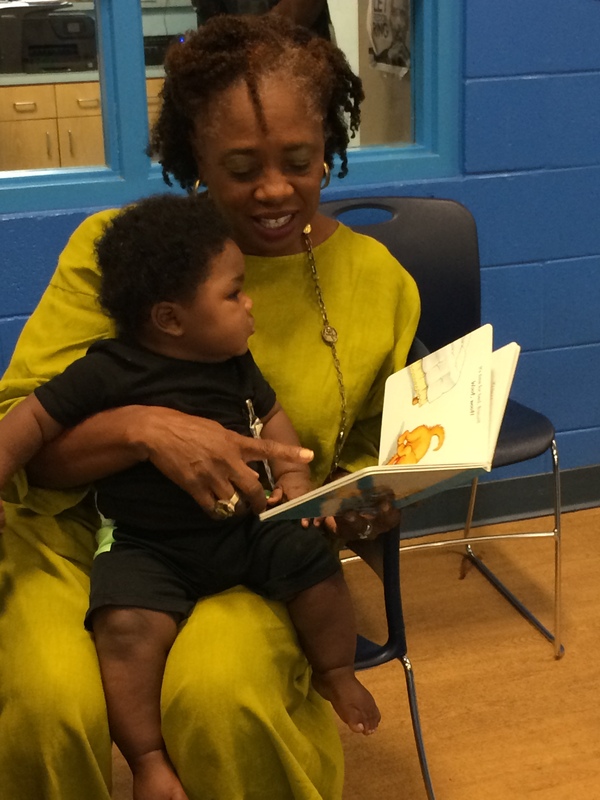 I applaud the efforts of SCBWI to get books into the hands of children who need them most!